MacGyver and an old friend race to an ancient Egyptian artifact against a new Von Leer. MISSION: MacGyver and an old friend named Beth Webb seek out the ancient Eye of Osiris. Unfortunately, they are in competition with a new member of the Von Leer family. 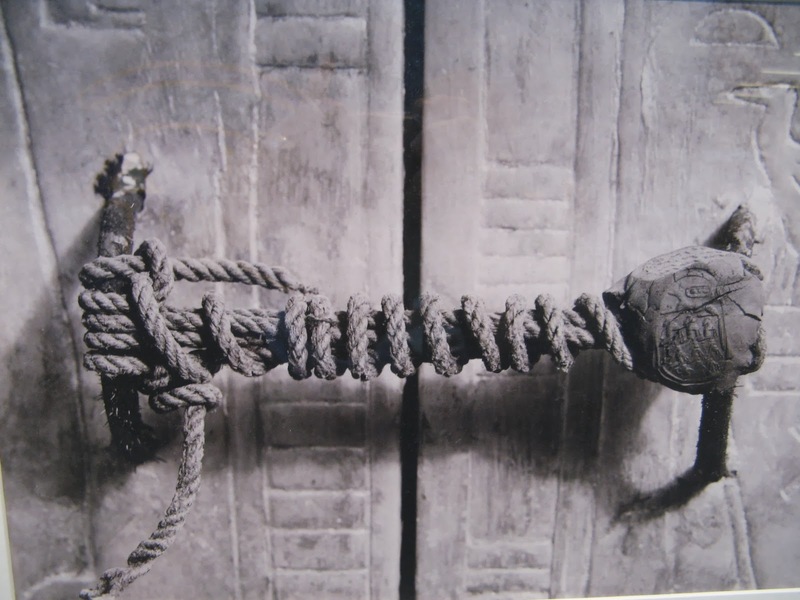 Here’s that picture we mentioned of the doors to King Tut’s tomb before it was opened. The Tunguska event was a large explosion that occurred near the Stony Tunguska River, in Yeniseysk Governorate (now Krasnoyarsk Krai), Russia, on the morning of 30 June 1908 (N.S.). The explosion over the sparsely populated Eastern Siberian Taiga flattened 2,000 km2 (770 sq mi) of forest (it caused no known human casualties). The explosion is generally attributed to the mid-air disruption of a superbolide. It is classified as an impact event, even though no impact crater has been found; the object is thought to have disintegrated at an altitude of 5 to 10 kilometres (3 to 6 miles) rather than hit the surface of the Earth. Check out the article on wikipedia: https://en.wikipedia.org/wiki/Tunguska_event. Watch S6E14: “Eye of Osiris” on CBS’s website or check the alternative streamability of this episode here.